Welcome This project has been 18 years in the making and now documents over 12,000 silver marks on 1,200+ pages and subpages. 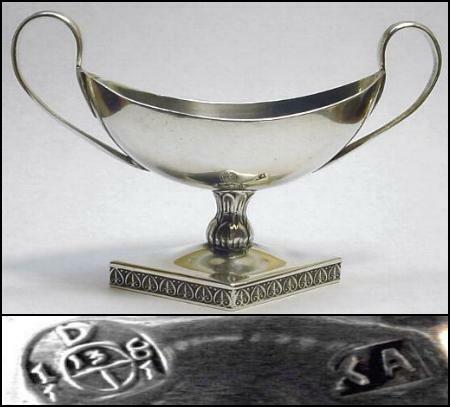 It is regularly updated as we find and photograph new examples of silver hallmarks and makers' marks. To navigate the site, it is easiest to use the green menu bar at the top of the screen. If you don't know the country of origin of the marks you are researching, the "World Hallmarks" page is probably the best place to start. To view a list of references used to create this website, see the bibliography. Enjoy your time here, we hope you find the site informative and useful.